After years of legal stalemate, ETF affiliate RMT and the Scottish Government made a joint approach to the European Commission in April 2016 over the possibility of using ‘Teckal’ case law to exempt public contracts for Scottish ferry services from the tendering requirements of Maritime Cabotage Regulation 3577/92. The European Transport Commissioner, Violeta Bulc replied to the Scottish Transport Minister Humza Yousaf MSP on 22 September 2016 that a Teckal exemption could apply to the Maritime Cabotage Regulation, although the burden of proof is on the Member State seeking derogation. The Scottish Government now has the opportunity to provide security and certainty for ferry workers, passengers and communities through securing a Teckal exemption. This new approach was the result of legal advice obtained from European procurement law specialist Gordon Nardell QC by the RMT in November 2015. 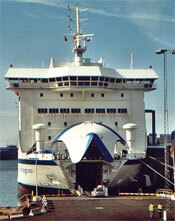 The advice was clear that a Teckal exemption for public contracts for ferry services in Scotland was legally possible. Mr Nardell’s legal advice also stated that if a Teckal exemption were applied, questions over State Aid Guidelines would not be relevant. In essence, a Teckal exemption removes the legal obligation on a public authority to competitively tender public contracts when it can be proved that the public authority tendering the contract can provide the services itself, subject to certain ‘control’ and ‘function’ tests. Since 2004, the Scottish Government has maintained that it is obliged to comply with the re-tendering requirements of Maritime Cabotage Regulation 3577/92 and put public contracts for Scotland’s passenger ferry services out to regular tender. Over that time, RMT and others consistently argued that this was not the case and that an exemption for these lifeline public services should and could be obtained from the European Commission. In a ministerial statement to the Scottish parliament on 2nd February, Humza Yousaf announced a legal, financial and policy review of Scotland’s ferry services. The Minister confirmed that this review would focus on procurement, in particular the case for a Teckal exemption for Scottish ferry contracts from Maritime Cabotage Regulation 3577/92 and EU State Aid Guidelines. Consequently, the Minister’s announcement halts two re-tendering process and demonstrates that lifeline public ferry services and the jobs and communities they support in Scotland can be protected, whatever the future holds. This development is something the ETF and its British affiliates, including RMT and Nautilus-UK very much welcome.